Posted on August 16, 2015 by Eric Zuesse. The owners of U.S. newsmedia know that in order to serve their fellow U.S. aristocrats who want to kick out Russia’s current leader, Vladimir Putin, so as to enable them to buy Russia’s natural resources (and highly educated work-forces) cheap via “privatizations,” their PR campaign for their fellow aristocrats (their major advertisers) must be led by ‘respectable’ newsmedia, such as Foreign Policy magazine, and not by blatantly right-wing, obviously trashy, ones, such as Fox News. Overtly conservative, nationalistic, ‘news’ media wouldn’t be able to sell to anyone who isn’t already on-board with privatizations of government assets as being a fundamental “free market” principle (i.e, equating fascism — the actual originator of privatizations — with constituting ‘capitalism,’ confusing the two systems as being one-and-the-same). So: not only the fascist media are anti-Putin, but media that pretend not to be are also. It’s also interesting that when Stratfor’s founder admitted that it was “the most blatant coup in history,” he was saying this to a Russian publication, which published it only in Russian, whereas when his employee recently referred to it, in a video for an American audience, she said (at 4:43 on the video) “the United States helped support the revolution [though it was no revolution, just a coup] that took place in Ukraine this past year.” Stratfor doesn’t want to go overboard to the extent of losing its big-bucks clients, some of which are the people that Obama’s foreign policies represent, but even this employee was so bold as to admit that the United States and not Russia is the aggressor between the two — something the U.S. media won’t allow to be said. America’s aggression against Russia first became overt when the U.S. aristocracy’s President, Bill Clinton (who killed FDR’s Glass Steagall Act and Lyndon Johnson’s Great Society AFDC program, and so was one of the best fake ‘Democrats’ until Obama came along and turned Heritage Foundation ideas into U.S. national policies), rejected Russia’s request to join NATO, and he instead invited into NATO three former members of the Warsaw Pact: Czech Republic, Hungary, and Poland. Clinton used the cooked-up excuse against Russia that Russia was then trying to retain Chechnya, though that’s a part of Russia which serves as an essential buffer against possible invasion by Islamic tribes to the south, from Georgia, Dagestan, and Azerbaijan; and so Chechnya’s breakaway movement actually did constitute a national security threat to the rest of Russia. Chechnya was none of the United States’s business, but Clinton needed an excuse, and it served that function for him. The Toledo Blade’s Mike Sigov even headlined on 7 November 1999, “Clinton’s Appeal to Halt Fighting in Chechnya Falls on Deaf Ears,” and he wrote: “‘Why does the United States keep humiliating us?’ they often ask. My friends in Russia, … periodically ask me this question. It happened when the United States and its North Atlantic Treaty Organization allies denied Russia’s request to join NATO and instead admitted Poland, Hungary and the Czech Republic.” The U.S. aristocracy had wanted, actually, to conquer Russia; they didn’t want merely for the Cold War to end — this was now clear. They want to keep it going until Russia itself is conquered. Obama is doing the same thing at the end of his Presidency that Clinton had done at the end of his, but maybe even worse, because Obama has placed Ukraine into control by rabidly anti-Russian nazis, who are also now teaching the children. Despite the general blockade against truth, a few American newsmedia have reported, throughout this summer, that Ukraine’s far-right leaders (such as Dmitriy Yarosh) are threatening another “Maidan,” to overthrow the present President of Ukraine, but they don’t report that those same leaders (including Yarosh himself) were instrumental in Barack Obama’s coup in February 2014: the CIA had arranged payments for Yarosh and his people, and, without this U.S. organization and financial backing (including even the establishment of a major TV station to propagandize for overthrowing Yanukovych and for mass-murdering the people who had voted for him), there would have been no coup. None of this information appears in U.S. newsmedia. The American public are widely ignorant of the reality about Ukraine. 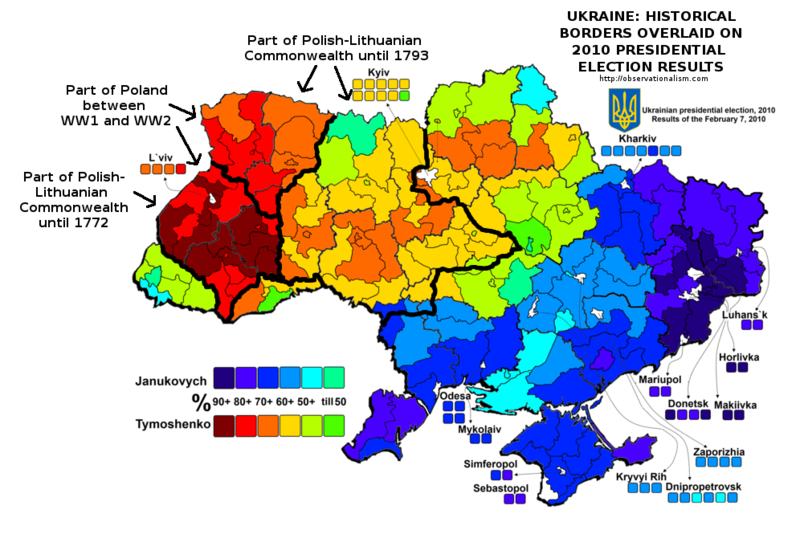 There are plenty of reports that stenographically transcribe and transmit to the American public the official ‘facts’ about Ukraine, but nothing that exposes the reality, which would be to expose the U.S. aristocracy itself (and this extends all the way from George Soros on the left, to the Koch brothers on the right: virtually the entire aristocracy are committed to defeating the public, not only at home, but abroad). Therefore, Poroshenko is, in effect, telling Yarosh and his supporters: If you do this again, this time to me, then there will already be a decision from our highest court saying that what you did last time was illegal. And, Poroshenko had already acknowledged, just as the coup was ending, when the EU’s investigator asked him how the overthrow had occurred: We did it, the snipers who shot both the demonstrators and the police were ours; it was a set-up job so as to appear that the violence had been initiated or perpetrated by Yanukovych’s forces, which were actually performing a defensive function, not offensive at all. So: he was already privately on record as having acknowledged this. But that, too, was not published in the American press, even though the evidence for it was first posted online on 5 March 2014, just a week after the coup. Basically, it has all been kept secret from the American people, just as the coup itself has been, and just as the ethnic cleansing to get rid of Yanukovych’s voters has been. And this has been a thoroughly bipartisan operation of the U.S. Government, not merely Democrats, and not merely Republicans. Both Parties are in the aristocrats’ pockets. (The man whom Congress applauded there was then overseeing the nazi operation.) This has not always been the case; it certainly wasn’t so when Franklin Delano Roosevelt was America’s President; but it is today. Bruce Stokes headlines in Foreign Policy on 6 August 2015, “NATO’s Rot from Within,” and concludes his analysis of polling in the 9 major NATO countries by noting a lack of public support for NATO in all countries except “the Americans (56 percent) and the Canadians (53 percent) stand ready to go to the defense of a NATO partner against Russia.” His implicit viewpoint is that all NATO countries need to tool-up for a war against Russia; Russia is surrounding NATO, NATO isn’t surrounding Russia. The U.S. already spent 55.2% of its discretionary federal spending on its military. More money than that would transform the national economy into national impoverishment, because one can’t eat, nor live in, bombs and tanks, nor in any of the other machinery of destruction. Why even watch ‘the news’ on television, or read about it in magazines or newspapers? In February, President Obama issued his “National Security Strategy 2015” and it used the word “aggression” 18 times, of which 17 referred to Russia as the alleged “aggressor.” If this is merely a mental illness that Obama has, then why are the U.S. ‘news’ media in lockstep behind it? But this strategy isn’t directed only against Russia, it’s directed also against the rest of Europe, even against other NATO countries. greatest threat to peace in the world today. This was followed by Pakistan (8%), China (6%), North Korea, Israel and Iran (5%).” (Russia wasn’t even there, in the top 5; and nothing below the top 5 was mentioned.) And Obama hadn’t yet perpetrated his coup and ethnic cleansing in Ukraine. But there was no report of any such poll made afterwards, none at all. Perhaps the U.S. Government didn’t want another, because they now knew that they and their press would need to do a lot more work in order to get Russia to be #1 on that list. Maybe this is what they’ve been working on. However, it’s already clear that the Nobel Committee should abolish their ‘Peace Prize,’ after their having given it to Kissinger, and then to Obama. Maybe they should replace it with a Hypocrisy Prize. Obama would certainly qualify for that. Maybe they could get him to trade in his old prize for that new one, so as to reduce their embarrassment (if they’re not just psychopaths, anyway, like Kissinger and Obama). This entry was posted in Business / Economics, Energy / Environment, General, Media, Politics / World News, propaganda and tagged corporate profits, corruption, Deep State, fascism, neofeudalism, New Nobility, nuclear war, Obama, Occupy Wall Street, propaganda, Putin, Russia, Ukraine, War. Bookmark the permalink.